Rising over apple orchards and pumpkin patches, the Shawangunk Ridgeline is a dramatic series of cliffs that creates a vast wall of stone high above the rolling splendor of the Wallkill Valley in upstate New York. It has become, in the words of writer David Roberts, "... a climber's dream of a cliffside paradise." 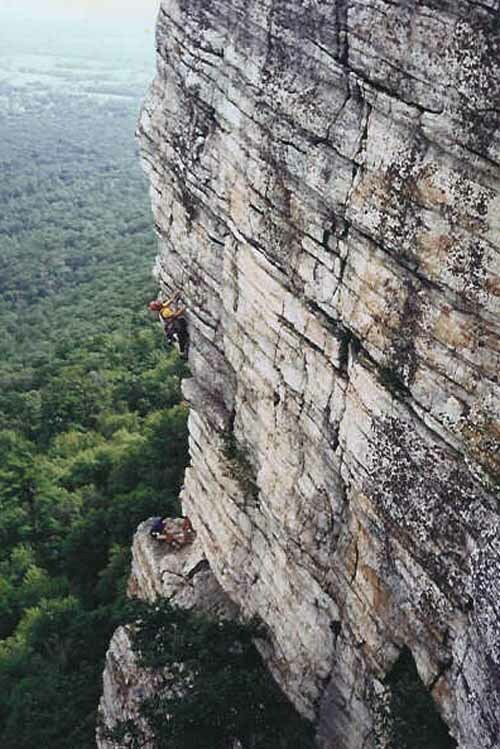 The Gunks is synonymous with exciting, exposed, often roof-laden routes. 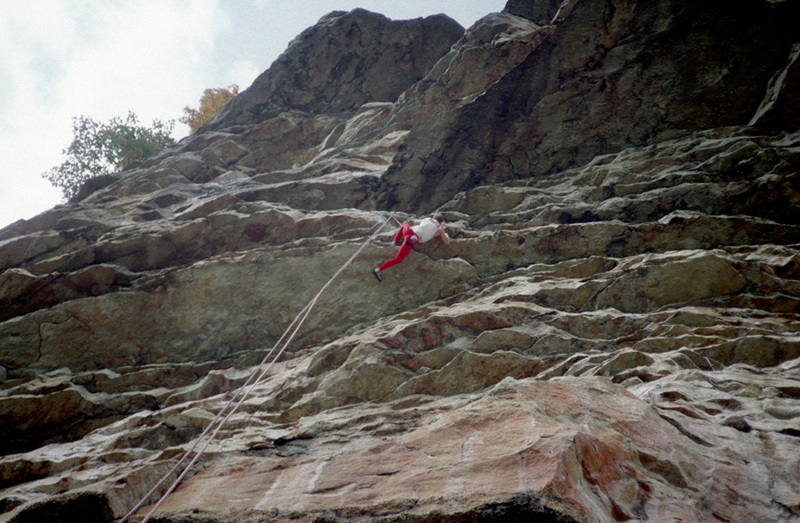 What sets the Gunks apart from almost all other climbing areas is its plentiful supply of easy and moderate routes that also share these exciting climbing features. Is there really anything more fun and soul-filling than a massively exposed 5.6 of clean, elegant, bullet-hard rock? The Gunks is a traditional area and the vast majority of routes are located in the Mohonk Preserve. Please make as little impact as possible on the environment. Good weather weekends are extremely crowded. Climb on weekdays if possible or arrive early (or late) on weekends. If one doesn't mind hiking there are almost always areas to climb at without a crowd. 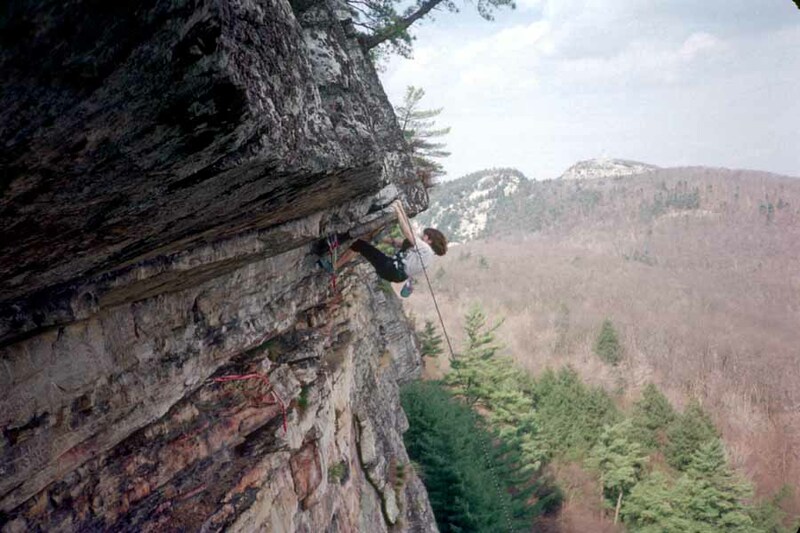 Arguably the best cliff in the Gunks, Sky Top, has been closed to climbing since 1994. 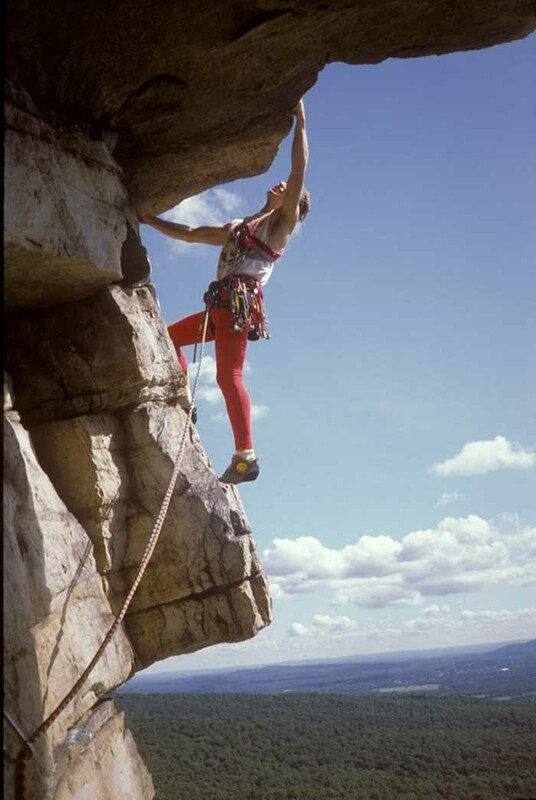 The Gunks Climbers Coalition (GCC) was formed in 2002 to address the Sky Top problem and many other access and impact issues that face local climbers. For more information on the Gunks and the GCC, please visit www.gunks.com www.climbnyc.com and www.gunksclimbers.org. Bring on the steep! Click here for more Gunks photos!